Even when a treatment is delayed by days or even hours, delayed diagnosis and failure to treat can result in severe damage or even death. "This is especially true when a doctor fails to diagnose and treat a heart attack, stroke, and internal bleeding," says our Hawaii failure to treat attorney. Failure to treat or stabilize a medical condition is not given as much attention as other types of medical malpractice such as surgical errors, birth injuries and wrongful death. Despite this, failure to treat or delayed diagnosis can have dire consequences and even result in death. Today, we invited our Hawaii failure to treat attorney from the Kurzban, Tetzeli & Pratt P.A. to shed light on the truth about doctors and hospitals failing to properly treat or diagnose patients in a timely manner and how this might entitle you to compensation. What is a failure to treat? When an individual in Hawaii or elsewhere in the United States seeks treatment, their treating physician will have to establish the cause of the disease, injury, or illness. More often than not, doctors and physicians are capable of detecting the culprit behind the patient’s medical condition in a timely manner, which increases the likelihood that the patient will recover. But sometimes, failure to properly diagnose, misdiagnosis, failure to treat and stabilize do occur in the healthcare industry. And most of the time, there is someone among the medical professionals who can be held liable for his/her negligence, which resulted in the failure to treat a patient. Failure to adhere to accepted standards of care (Meaning: if another competent and skilled doctor with a similar background and specialty would not have made the medical error that led to the injury or death under the same circumstances, your doctor failed to adhere to accepted standards of care). Even when a treatment is delayed by days or even hours, delayed diagnosis and failure to treat can result in severe damage or even death. “This is especially true when a doctor fails to diagnose and treat a heart attack, stroke, and internal bleeding,” says our Hawaii failure to treat attorney. 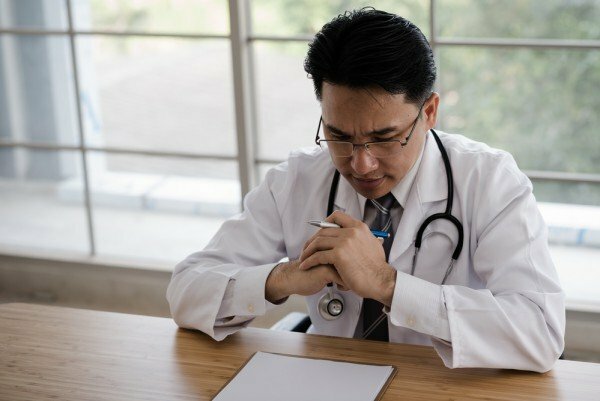 When confronted, doctors who delayed diagnosis or failed to treat your medical condition will shift the blame onto you or other medical professionals or argue that other forms of treatment or starting treatment sooner would not have made a difference in the outcome (injury, illness or death). Therefore, it is important to get legal help from a lawyer to collect sufficient evidence of failure to treat and file a medical malpractice lawsuit against the liable parties. Contact the Kurzban, Tetzeli & Pratt P.A. to speak about your particular case. Call at 808-800-2445, or fill out this contact form to get a free consultation.